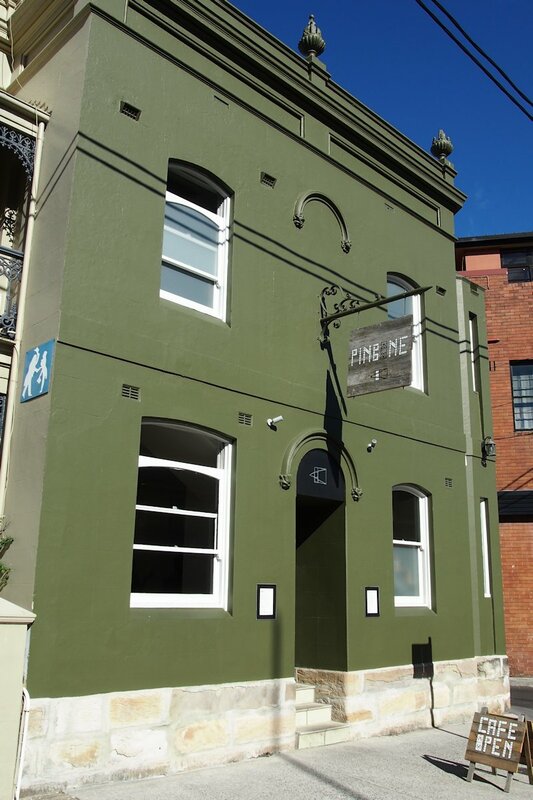 Refined, poised, clean and elegant – the words that came to mind as I stepped into Pinbone this morning. Every surface, from the polished wooden floors to the walls and tables are perfectly presented – spotless and with furniture & decorations precisely in place. That’s not to say it is contrived or over-the-top but rather you feel as though this is an establishment that has everything under control. The staff can only be commended on their friendliness and professionalism. I haven’t seen a cohesive outfit like this for a long time. The downstairs sections is very small with only a handful of tables. Upstairs they have somehow managed to squeeze in more seating than I would have thought possible. It can be slightly cramped but not overly so. Note that while Pinbone offers dinner Wednesday to Saturday, their breakfast is only available on Sundays. This, I have to say, I do not like. You simply cannot serve food of this brilliance once a week. 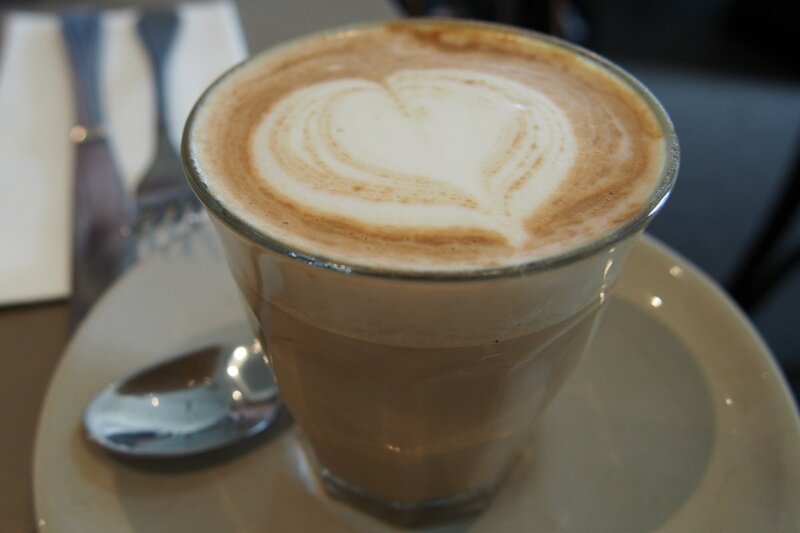 Coffee ($3.50) by Little Marionette and our cups were delicious – if I lived in Woollahra, this would be more coffee stop! 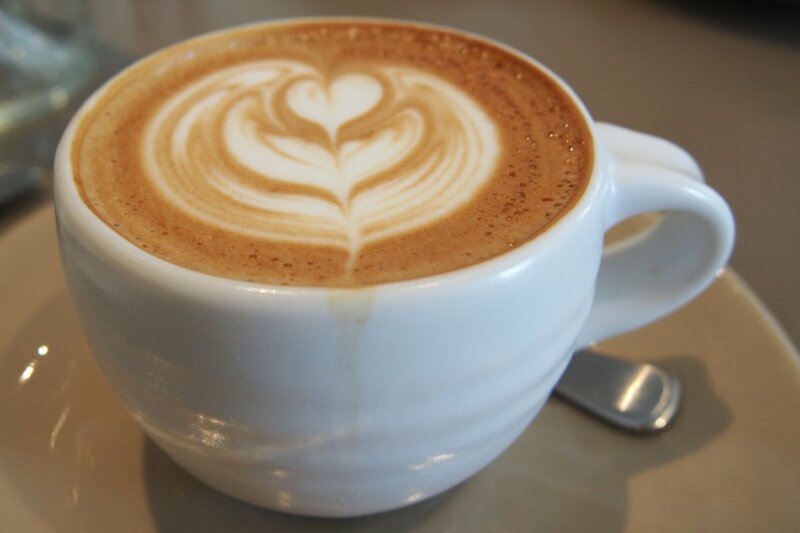 My flat white was served in a gorgeous cup as well. I haven’t seen crockery like the cups and plates at Pinbone; it was exquisite. As far as teas ($4) go, you have the choice of English Breakfast, Earl Grey, peppermint, jasmine or chai. Fresh juice ($6) is available but varies depending on the day so be sure to ask. For something a bit stronger, cocktails include Bloody Mary, Aperol Spritz and Pineapple Margarita ($14 each) among others. 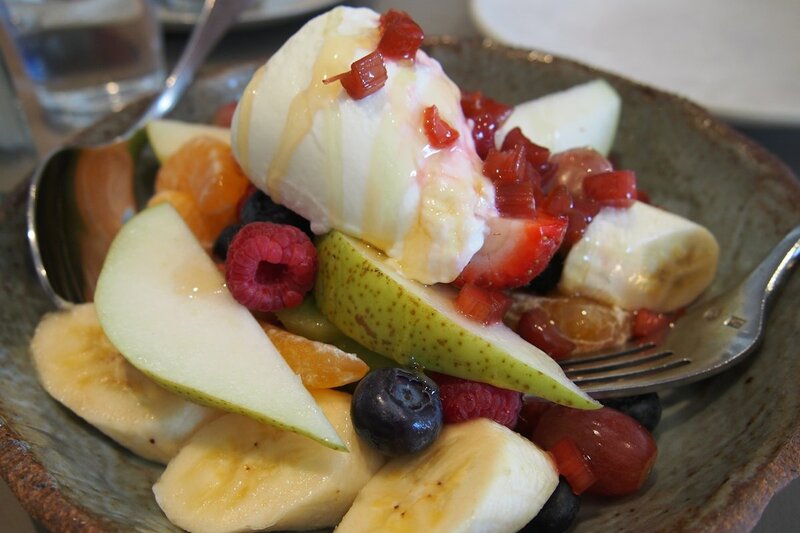 The fruit salad ($14) boasts more fruits than you could poke a stick at. Fresh banana, mandarin, pear, raspberries, blueberries, strawberries, rhubarb and grapes topped with a decent dollop of yoghurt and a drizzle of honey. Everything was of exceptional quality. 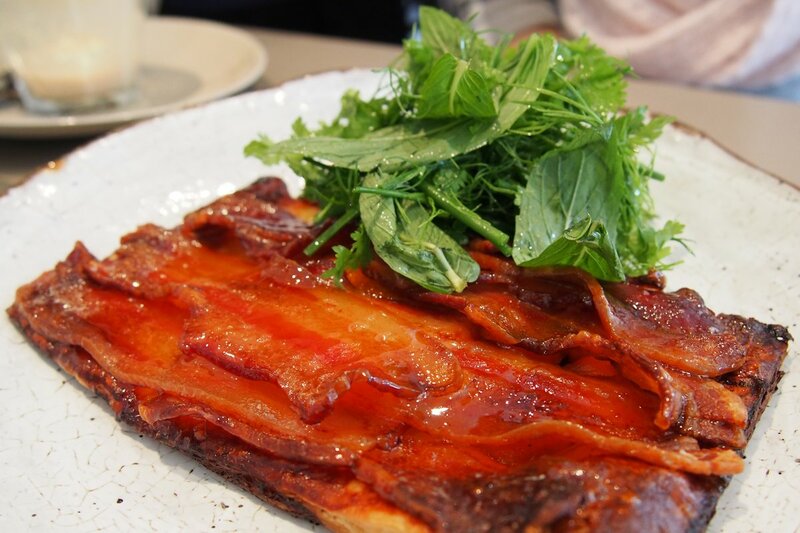 Enter the bacon, maple, pumpkin tart ($12), enough to make bacon lovers weak at the knees. With a thin layer of delicate pastry beneath, this tart lets the toppings shine. The streaky bacon has been formed into a crackly-in-parts, gooey-in-parts topping that I could snack on for days! The pumpkin below was soft and caramelised yet overall this dish was definitely not too sweet. Combined with the herbs on the side, both my guest and I were in awe of the flavours. I’m not sure why I ordered the croque madame ($14, croque monsieur $12). With so many unique items on the menu, I chose one that is available at numerous other cafés. This example though is without doubt one of the best I have tried and I’m certainly glad to have tasted it. 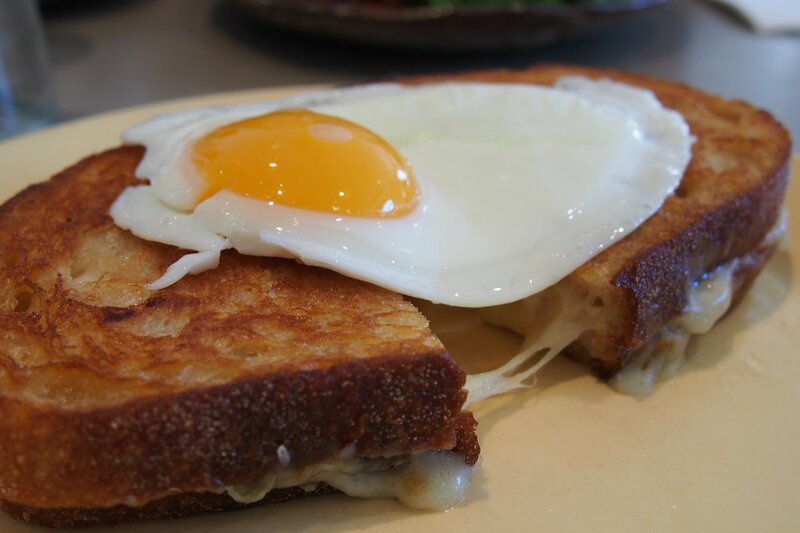 The bechamel has slight smoky undertones, the amount of cheese is just right (ie there’s a lot of it), the toast was fried perfectly and extremely flavoursome. It’s not common for me to want to revisit a café the week after I have reviewed it but I had serious cravings this week. I wanted to walk back inside as soon as I had left! With offerings such as bacon butty on soft white bread with tomato or smoky BBQ sauce ($10), scones with smoked cheese, sausage gravy & fried eggs ($18), fregola, creamed corn & a poached egg ($18), there’s so much more that I want to try. 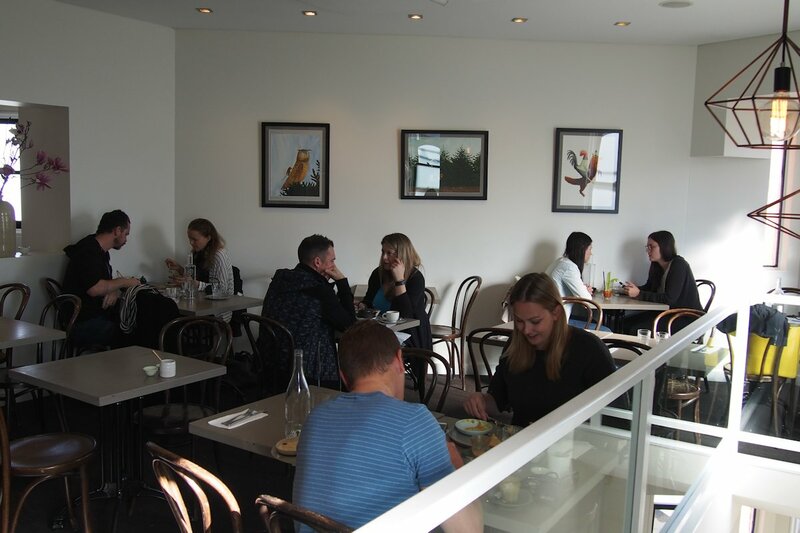 Moving towards lunch time, there are more substantial meals available such as club-style sandwich with fries ($18), roast pork and vegetable bubble & squeak with a fried egg ($18) or roasted carrot & beetroot salad with ricotta & baby spinach ($16). While the prices are higher than typical when compared to other reviews, with flavours and quality such as those evident at Pinbone during our exceptional meal, I’ll be returning again and again. This entry was posted in Sydney - CBD, Sydney - Inner East and tagged Gluten free options, Parking close by. Bookmark the permalink.